This Stockroom Management solution featuring IntelliTrack data management software provides an efficient and cost-effective method for tracking consumable inventory with mobile computers and barcodes. 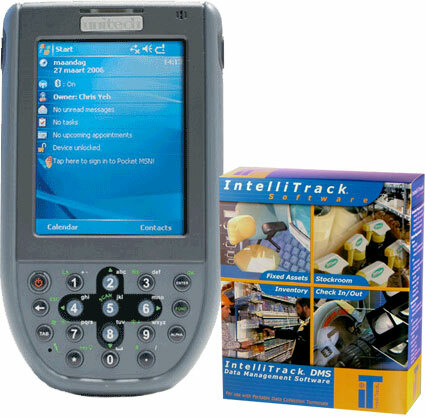 As a perpetual inventory system, IntelliTrack Stockroom controls the receipt and issuance of consumable goods into inventory, allowing you to determine the quantity on hand. In addition, the software automates routine physical inventories so you can easily take and reconcile physical counts with book inventory. The BCI PA600-INTELLI-STOCKROOM-BUNDLE is also known as PA600-INTELLI-STOCKROOM-BUNDLE	or PA600INTELLISTOCKROOMBUNDLE	.